Building a good stock portfolio does not have to be hard and does not need to take a lot of time. This is especially true if you invest long term. If you invest long term you do not have to be as focused on buying and selling the stocks at the exact right time. You can instead focus on finding stock that has good long term potential regardless of what happens during the next week or the next month. You focus on what the stock will be worth in 5 or 10 years time. Not what it will be worth in 6 month. If the stock trades for a lower price in 6 months than this is not a problem but an opportunity to buy more shares at a good price. In this article I am going to focus on how you build a long term dividend portfolio. I personally think this is the best portfolio to build but you might not agree with me. Only the future will tell which investment strategy that will be best going forward. The portfolio we are going to focus on in this article is built on a very long term investment strategy. Our goal is to be able to hold the same stock for 10 years or more. Ideally we should never sell any stocks once we bought them. However this does not mean that we should hold on to bad stock. Just that we should try to find companies that we think will do well for a very long time to come. A common mistake when building a stock portfolio is to try to find the next big thing. The company that is going to grow into the next Google or Facebook and give you many 1000% interest. It is true that there are shares out there that can make you rich in a very short time. But it is very hard to find these stocks among all other up and coming companies. Some people become rich investing in theses companies but many other lose money because they end up picking the wrong stocks. If you want to get rich picking stock market rockets than you need a lot of skill and a lot of luck. Most fail. If you instead invest in more mature companies you will have a lot higher chance of becoming rich. Yes it takes longer but almost everyone who stick to a long term investing strategy do become millionaires in time. Slow and steady is therefore always a better choice. It might take you 20 years to become rich. But you will get there eventually and you will have a good nest egg when you retire. I believe that all stock portfolios should be built around dividend stocks. 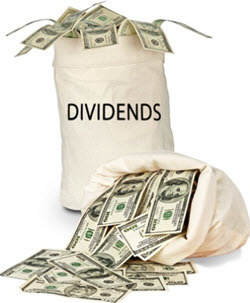 Dividend stocks gives you two ways to earn money. The stock will hopefully increase in value over time and you will get dividend payments that give you money that you can use to buy more stock or to pay for cost in your everyday life. I recommend that you use your dividends to buy more stock whenever possible. At least until you decide to retire. By reinvesting your dividends your portfolio will grow a lot quicker. Lets assume that you invest 10 000 in a stock today. The stock gives a 5% yearly dividend and increase in value by 10%. If you choose to not reinvest the dividend you will have USD 67 275 after 20 year. If you instead choose to invest your dividends into the stock you will have USD163 665 after 20 years. This illustrates the power of compounded interest and why you should always reinvest dividends. I recommend that you invest at least 80% of you stock portfolio in high yield dividend stock with a proven track record and a competent management. Make sure to check the companies growth and dividend growth for the last 5 (preferable 10 ) years before you choose to include a stock in your portfolio. The remaining 20% can be invested in smaller growing companies with a high potential but also a high risk profile. This gives you a chance to own a part of the next google without risking to jeopardize your entire portfolio. Please observer that 20% is based on the money you save. Not the total value of your portfolio. Never sell dividend stocks to keep 20% invested in smaller companies. Do not invest all your money in stock. 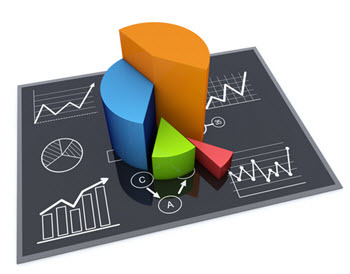 Try to build an investment strategy that includes a large number of different types of assets. Not just stocks.